﻿ Rolo Tomassi have returned with their fifth studio album Time Will Die And Love Will Bury It. This unique quintet from Sheffield have continued to produce music in their experimental way. Incorporating synths, jazz motifs and distorted guitars into their music illustrates the talent of these musicians. The band have a very DIY approach to making their music which works incredibly well for them as it provides freedom for such extraordinary experimentation. Their new album will be released on the 2nd March and is shortly followed by a European and UK tour through March and April 2018. The new album opens with an instrumental track, Towards Dawn. Synth layers of a sustained choral chord, bass note and melody create a calming atmospheric sound. A slightly distorted synth effect is then added periodically on top of the mix. A piano melody and staccato melody are also added to build up the sound. The sound ends somewhat abruptly leading into Aftermath. This track continues the serene atmosphere established in the first track with clean guitar melodies and Eva Spence’s clean vocals. However, the serene tone does not last long; Rituals follows with an eerie melody. Dissonance in the guitars, heavy distortion and Spence’s screaming create a shocking contrast to the first section of the album, but it works brilliantly. This really begins to show off their musical abilities and the diversity in their song writing skills. Track four, The Hollow Hour, is one of the longest on the album reaching nearly eight minutes in length. Beginning with a clean guitar melody, the instrumental layers gradually build up before exploding into the verse. The fast-paced guitars, percussion and screams are full of energy with a dark tone. The track also includes clean vocals, slower tempo guitar melodies and a piano line. This alternating of tones and tempo is organised chaos, a theme which continue throughout the album and ties everything together. Balancing The Dark continues the eerie, sustained synth note from the previous track and introduces jazz chords and off beat percussion. The disconcerting mix is executed effectively. Dissonant, distorted guitars and screams follow along with a fast-double pedal run accompanied with fast rhythm guitars. All of this then settles back into the jazz and synth contrast at the beginning of the track. The seventh track on the album, A Flood Of Light, another long track at over eight minutes, has a synth heavy opening and similarly to previous tracks goes on to introduce distorted guitars. This track also involves a section of clean guitars, clean vocals and underlying synths in the mix of the distortion and screams. Risen, the final track on the album, includes clean vocals from Spence, a clean melodic guitar sequence and reverb effects. This replicates the calm atmosphere of the opening tracks book-ending the album, cohesively tying the whole album together. Rolo Tomassi are a highly talented group who are not afraid to experiment and push the boundaries of musical writing. Their sound is unique yet varied as they effectively combine different musical genres and tones into their songs. Time Will Die And Love Will Bury It is a fantastic example of their abilities. 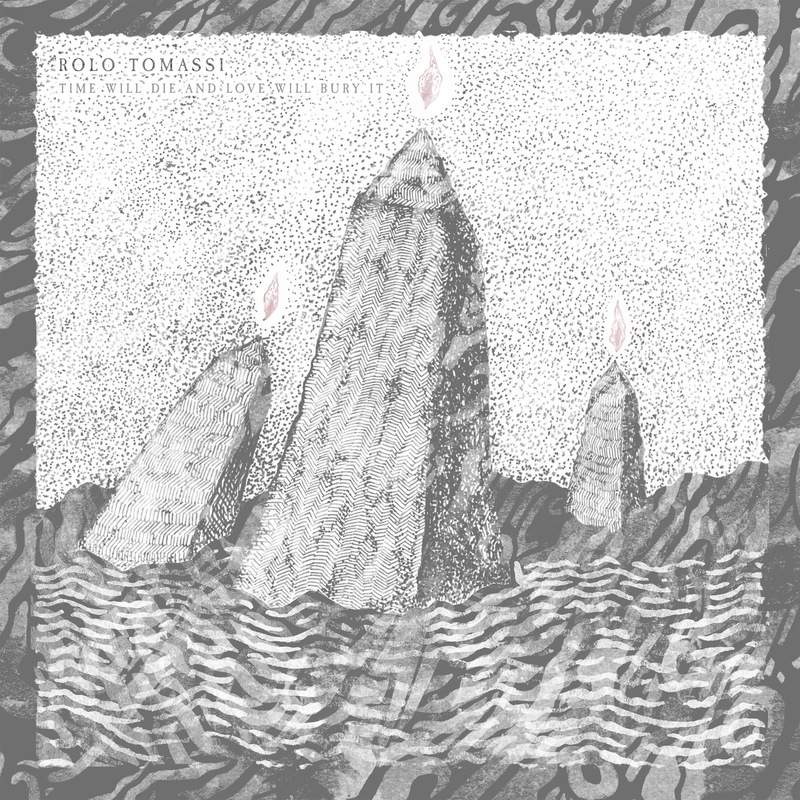 ‘Time Will Die And Love Will Bury It’ by Rolo Tomassi is released on 2nd March on Holy Roar Records.